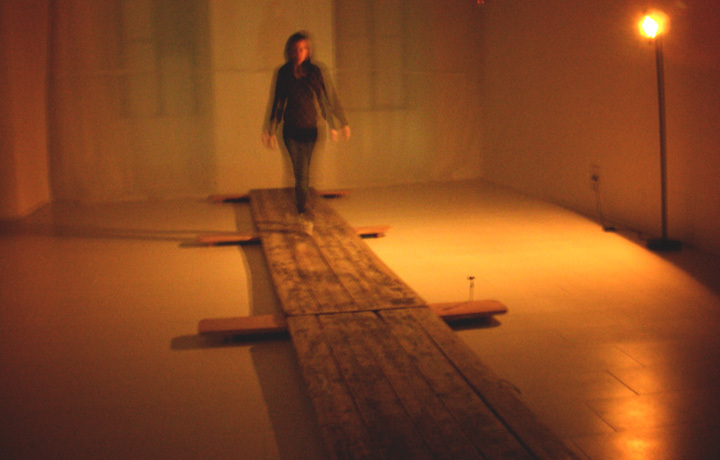 An interactive installation work inspired from an old water bridge from Roman era. The installation translates the feeling of crossing a bridge, like moving from the territory of being human to something else. When the audience is walking on the wooden plank, they see a real-time image of their back projected with a beamer on the front wall. 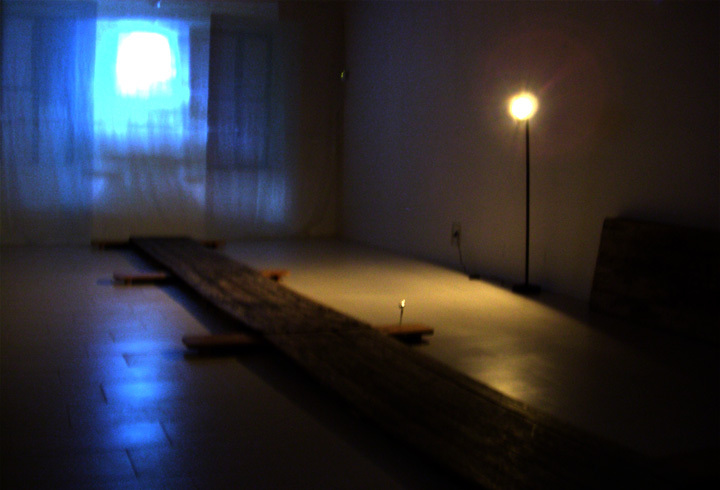 An ultrasonic sensor measures their location, from the beginning of the plank to the end in front of the wall. 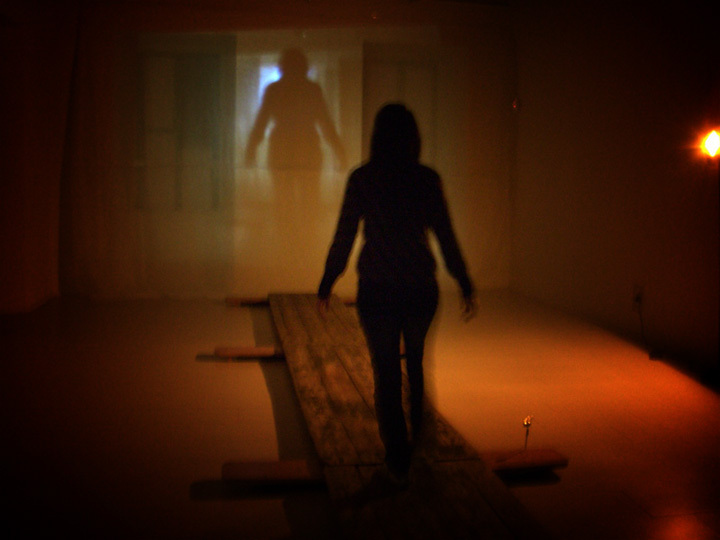 The projected image changes according to the position of the audience, turning blurrier with each step forward, creating a feeling of getting lost or losing your soul.